Date : issued between 211 and 206 BC. Size : 16.0 x 17.6 mm. Weight : 3.45 grams. Grade : XF/VF. The reverse is a little off-centre. 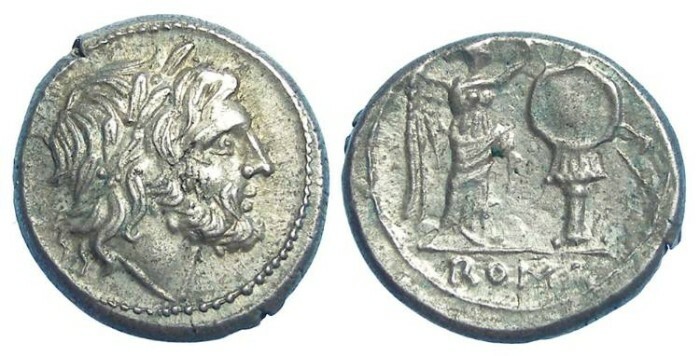 Reverse : Victory standing right, crowning a trophy with a wreath, with ROMA below.